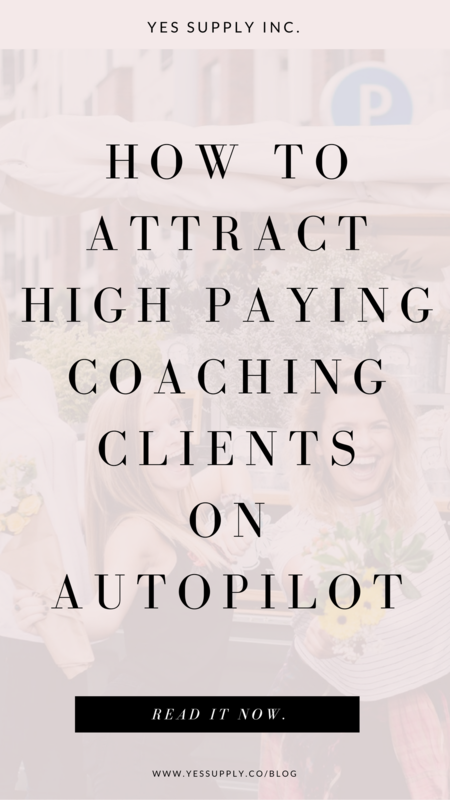 Your Guide To Attract High Paying Coaching Clients On Autopilot – yes supply co.
How I Grew My Instagram Audien.. Collective Muse Of The Month- ..
Have you ever imagined what it would be like to attract high-ticket clients? What would that do for you if you were able to pull in multiple new clients a month who were paying you thousands of dollars for you to do work that you love to do? Would you FINALLY be able to quit that job that you’re so over? Would you be able to create enough freedom to travel the world doing work that you’re passionate? Would you finally pull in the income that you know you deserve and create 5-figure months? That’s what attracting dream clients has done for me, and I know the same is SO possible for you too. 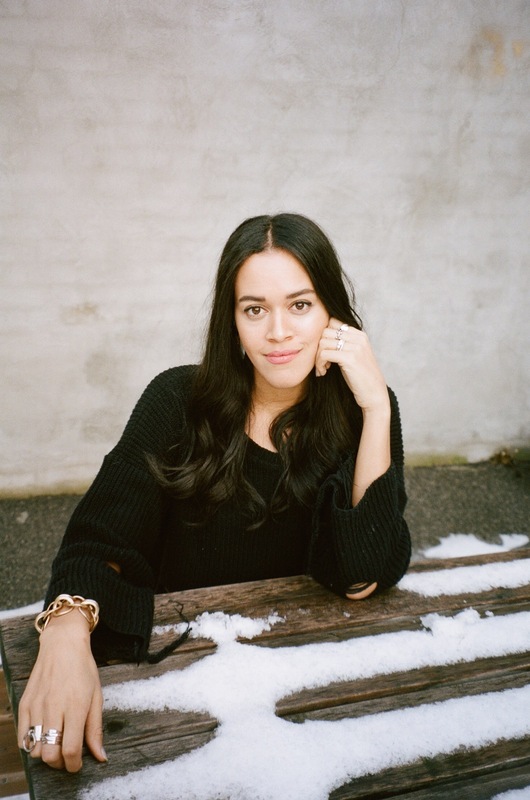 For months I struggled in this disconnect between knowing I had something incredible to offer, but not knowing how to communicate it in a way that attracted my dream clients and set them up to work with me. I had a fire in me to help people, but I wasn’t sure how to actually find the perfect people to help! I had to niche down and find out who I was truly best positioned to help, and then put myself out there in a way that made people lining up to work with me, even for high-ticket fees, but I found the process was not very streamlined. I found a lot of the time, I was emailing people back and forth to find the perfect time to set up a call with them, and often feeling like I was my own receptionist. Once I created a system that brought in a steady flow of clients, it was easy to book discovery calls, and fill up my calendar that led to clients I adored working with and multiple 5-figure months. I know the same is SO possible for you too, once you know how to start putting yourself out there and connecting with your ideal client base. Would you have more freedom to spend more time with your family and friends? Would you finally feel financially secure enough to pay off your debts and start buying the things you’ve been dreaming of for months? Would you travel? Or just spend time living your life? Despite what you’ve heard, life and attracting the money you want doesn’t have to be a struggle. You can do the work you’re meant to do and truly help people. In this article, you’ll learn how to create a system to attract discovery calls on autopilot so you can scale and grow your business in an easy and streamlined way. If you want to confidently attract the right kind of client into your life you first have to know them and understand them. You should have a very crystal clear picture of the person that you wish to work with. You should know them well enough, and have an idea of them in your mind so concise that every piece of content that you put out you feel like you are having a direct conversation with them. It is this kind of clarity that will help you almost magically attract your ideal client into your life. Shifting from a vague idea of who you want to work with, to a crystal clear avatar even works for you if you’re currently attracting clients but they’re not the right type of people. Just say you’ve been attracting a whole bunch of clients to discovery calls but they always seem to be the type of people that don’t have enough money to pay you for services, or aren’t ready to take that next step- changing your focus will help you start attracting the right people into your business. Then they seem like the perfect client! There’s a lot more that goes into defining your target client avatar, but this will give you a great foundation to start. Most importantly, you should have a CRYSTAL clear idea of where your ideal client is when they are starting out and which problems they are experiencing that you know that you can help them solve. You should be 100% confident that you can help them overcome this issue with your products and services. You’ll be definitely touching on these topics in your discovery call, so you want to make sure you’re attracting the people who you actually want to work with. Have an outline of who the call is right for so when you’re creating messaging, you can ensure that your ideal client knows you’re talking to them and you’re equipped to help them overcome specific things when they sign up for your program and services. Having a discovery call is a huge investment of your time so you need to make sure that you’re only offering these calls that take up your valuable time to the right people. A discovery call is a two-way street as the potential client isn’t just signing up to find out if they want to work with you, you’re also figuring out if you really want to work with them. Do you feel like you would get along with them? Do you feel like you can truly help them achieve their goals and you would have fun working alongside them? Do they seem like someone you would be excited to hop on calls with? Are their goals genuine, and incredible PURPOSE-FILLED outcomes that you can get excited about too? The LAST thing you want to do is get on calls with people who are not qualified leads, or do not value your time (or theirs). Having a call with someone who is not a qualified lead not only wastes your time, but theirs as well, as they will not likely get the results they’re looking for from such a short call, and you will be taking away from growing your business and working with people who you truly can help, in exchange for someone who might not value your time. Someone hoping to get ‘free coaching’ on a discovery call, or experience a complete transformation after talking to you for 30 minutes is setting themselves up for disappointment. As much as you WANT to be able to help people make a huge, permanent change in their lives as quickly as you cal, there’s only so much of a shift that can happen in a 30 minute phone call. They have to be willing to invest in a change and solution which sadly, is rarely an overnight thing. Additionally, people rarely see results or change if they are not paying for the solution and have not invested in themselves enough to get the result. When I started my business, I invested thousands in myself so that I could really gain the information and insight I needed to be successful. To this day, I still continue to invest in myself as I feel most happiest when I’m mastering the areas of my life that I want to help people with as well. It’s a win-win. I see better results, and so do my clients. Would the majority of people go the gym if they weren’t paying for a membership? I didn’t think so ….. They wouldn’t have the motivation to head back again and again. Investing their time and money into their solution, and having the accountability that you can offer them is going to make the difference in them finally achieving their goals. This is why creating an application that potential clients can fill out before they book a call with you is essential in making sure you get on calls with the right people for your business. Are you willing to invest in yourself to overcome this goal – So that you know if the person on the call is ready to make an investment in themselves to and create a new life. And any other questions you feel like would align to your business and the change you create in people’s lives and business. I ALWAYS have potential clients fill in an application form before booking a call with me. I only get on the call with those who see the value of booking a call with me, and I encourage you to have an application before someone books a call with you too. I have even seen coaches charging 100$ for a discovery call (that of course comes with added value and a bit of coaching within the call) and I think that it is an incredible way to ensure that you only get on the phone with someone who sees your value. Through the application, you’ll be able to see if the person you plan on talking with is the right fit for you, and you can do any necessary research before the call so you feel prepared for your call! At the end of this application, when the applicant has 100% completed and submitted, you can give them the link which will send them to your calendar so they get the link to your booking page and choose a time in your calendar to speak with you. Now, in this automated booking system you’re creating, the LAST thing we want for you is to feel like you’re turning into a receptionist constantly booking calls manually and feeling like you’re emailing people back and forth to find a time that works. I prefer to open up my calendar, and see that my calls are automatically placed on my calendar at a time that works for me. This is why you need to use an automatic booking system to book calls right into your calendar. The two booking systems that I recommend are Calendly and Bookly. Both can sync right into your Google calendar to help you avoid double booking yourself. What you’ll want to do is ensure that AFTER someone has filled in your application to book a call with you, they’re being automatically forwarded to your booking calendar so they can schedule a time that works for you. This step is very helpful in saving you time and energy when you’re booking your calls. Have a friend who would benefit from this article? SHARE it with the links to the left. This helps me create more incredible content to help you create your yes in life. Now that you have your pieces of the puzzle set up so that you can start getting Discovery calls on autopilot, it’s important that you have proper messaging in order to connect with the perfect people who you wish to work with for your Discovery calls. The common way to build your list, and lead a new potential client onto your email list, is to create a ‘freebie’ that offers value and establishes you as the expert so people are joining your list to receive the free content- This is definitely a great option and I use it myself, but I’ve also found another way that works. This is ESPECIALLY good if up til now, you’ve been booking all your calls manually and your thumbs are getting tired of texting new clients back and forth. Option One: Create an INCREDIBLE freebie that aligns to your offering. If you want to grow your email list, simply stating ‘Sign up for our free newsletter” is no longer effective. You need to trade value in order to have someone sign up for your list. A great way to invite someone to join your list, and also ensure that you have the right people joining is to create a ‘freebie’ that someone can receive in exchange for your email list. In the past, I’ve created incredible free pieces of content that have had people RAVING about how much the content has helped them, and has also allowed me to build my list easily. If it’s a video course, you can create your course with a simple video camera (this is the one I use) or even just your iphone and upload it to a platform like youtube or vimeo. If it’s a tutorial video, I use Screenflow to easily record my screen and create slides. If I’m creating a checklist, a PDF download or a checklist, I’ll use canva to create an easily design. However, If you’re stuck on what to create as a guide, or you want to have the option to have people book a call WITHOUT needing to download your freebie, I’m about to show you a second option. By doing this, you can refer people to book a call with you straight from one of your live streams, or even a simple social media post! Instead of creating another FREEBIE, you can use strategy #2 to create free value on your social media platforms and then create a landing page that you can use to capture a someone’s email address. Once you’ve captured their email address, you will then be able to nurture and connect with them further through a series of emails and invite them to book a call with you. When I have my availability open to book I love having a simple page that I can send people to when it’s the right time to schedule a chat with me, because I love having appointments put through to my calendar on autopilot. You’ll also have them on your list so you can keep them up to date on the growth of your company, and even present them with different offers. I’ve found that by showing up for my audience every day with different pieces of content, posts, and live streams I’ve created a real connection, which makes it easier for people to connect with me, and to invest in high-ticket products like coaching and retreats since there is a high level of trust and a strong relationship. and even through meeting people in person! If you’re looking to create a real community, make sure that you’re showing up regularly for your audience, and making it a priority in your day so they can feel a constant connection with you and you’re at their top of mind! Remember, people can’t purchase your AMAZING products and services if they’re not even aware of you! 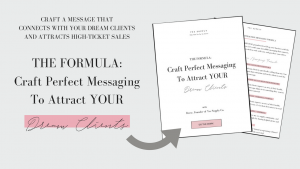 In your messaging, you need to connect with your ideal client, and let them know that you are speaking directly to them. Once you’ve done your audience research (from point 1) this will become so much easier for you. 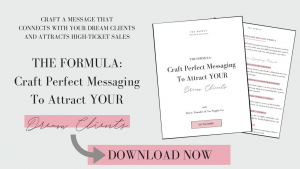 If you’re struggling to connect with your audience in a real way, or need some help crafting incredible messaging, check out THE FORMULA: Craft Perfect Messaging That Attracts Your Ideal Clients. You want to offer a piece of value, hopefully a helpful tip, that allows them to see that you are someone who can truly help them achieve their goal, and from there, you can push them towards your call to action, which is the opportunity to apply for a free strategy call or discovery call with you. This is the step that will help you create a steady stream to enter into your email list of ideal clients. I used to send people straight to an the application form to book a call with me, but the thing is, you can lose a lot of qualified leads by not capturing their email address the first chance you get. The thing is, someone might have EVERY intention of filling out your application, but they stumble upon it while they’re at work, or busy, they might close it down and forget to do it. By not capturing their email at this opportunity, you’re doing someone who has a real problem that you KNOW you can help with a huge disservice. If someone has made it to your application form, they likely have an issue that they REALLY want your help with. If they didn’t they wouldn’t be there. It’s your job to step up, and do what you can to help them. If you can capture their email list while they’re interested in booking a call with you, then you can rest assured that you can send them emails to remind them to set up a call with you, as well as nurture them, sharing more information about you and your business to help them get a better understanding of who you are, what you have to offer and how you can help them. My favorite tool to create simple landing pages is Thrive Themes (aff link). I use the Thrive Content builder to create my landing pages, and the thrive leads to create pop ups on pages within my website. Side note: I actually took the leap and purchased the entire Thrive Themes Membership as it is an incredible value for what you pay. With the amount of things that you get when you sign up for this membership you’ll actually save hundreds of dollars a year on your marketing efforts. Inside the membership you’ll find templates for landing pages, ways to make incredible quizzes for your sign ups, countdown timers, pop ups for your WordPress blog, headline optimizers to get the most traffic to your blog posts and much much more. I only share tools with you that I use and absolutely love. Now that you’ve set up the landing page in order to attract ideal clients, you can create the email automation that’s going to introduce your new leads to you and your business and offer them the link to fill out an application to speak with you. If you haven’t implemented an email automation, or you’re unsure what this means- DO NOT WORRY. I’ve been there. I’ll give you an explanation. Imagine you had HUNDREDS of people joining you list, all at different times of the day. If you were sending out emails only once a week, your clients and customers might miss important information about you, your brand, and what you have to offer. You would also be PRETTY busy trying to welcome all these new people to your list by typing out these emails one-by-one. In order to create an incredible personal BRAND you want to make sure that your audience knows you and who you are. Creating a well thought-out email automation can help your new audience members connect with you on autopilot. Also, if you have created a FREEBIE that someone is meant to receive upon signup, you can deliver this in the first email of your email automation. By sending an email automation you’ll give your audience multiple different ways that they can connect with you and learn more about who you are, what you do, and how you will help them. In the first email I would recommend sharing your personal story, how you help people and call out the perfect person that you wish to work with. In this first email you should also provide any freebies that someone has signed up for, and also share the link so that somebody can apply for a strategy session or discovery call with you. In this email automation you can continue to send emails after the first email so that people can get to know you in a different way, you can share past results and testimonials, and help your target audience familiarize themselves with your products and services. That way when somebody hops on a call with you or you offer them your product or service, they’re familiar with you and how you can help them overcome their obstacles. Having an email automation that nurtures the new members of my list is a great way to help people get to know me better, and makes my sales calls even MORE successful! By the time somebody ends up on a strategy call with me they already know the products and services that I offer, they have an idea of my price point, and that way the majority of people who end up on a call with me, end up working with me. The conversation never feels salesy or sleazy because the person has learned enough about me, and has self-qualified themselves as my perfect target client, so signing up with me is a no-brainer. Once you have a new potential client in your email list, your autopilot email sequence can be working for you around the clock. 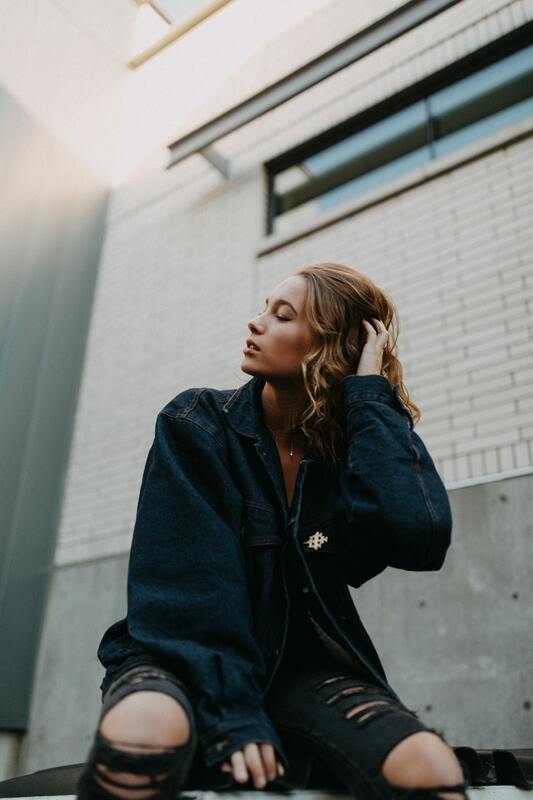 The beauty is, you can write this email automation once, and it can of out to your potential clients again and again, helping them become familiar with your brand, and getting them excited for their 1:1 call with you. 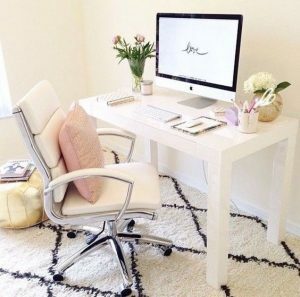 In the follow up email, write a message that shares a personal story that connects with your new member on a deeper level, showing that where you used to be aligns with where they are now, and showing them that you are the perfect person to help them overcome the things in their life or business that are currently holding them back from achieving their goals. In the first few emails, you can remind them to apply for the strategy call with you by entering in the link for your application form. After they fill in your application form they will automatically be sent a link to book their call with you. Step #7: Scale Up Your Efforts – Promote, Promote, And Get Yourself Out There! The next step is getting yourself out there to get your ideal clients into your system. If you know you have something incredible to offer and your discovery calls are full of value then do not be shy to put yourself out there! The world NEEDS your message, and the unique perspective and solution that only you can create. From my own experience, I held myself back way too long from putting myself out there and offering my services because I felt SO shy! 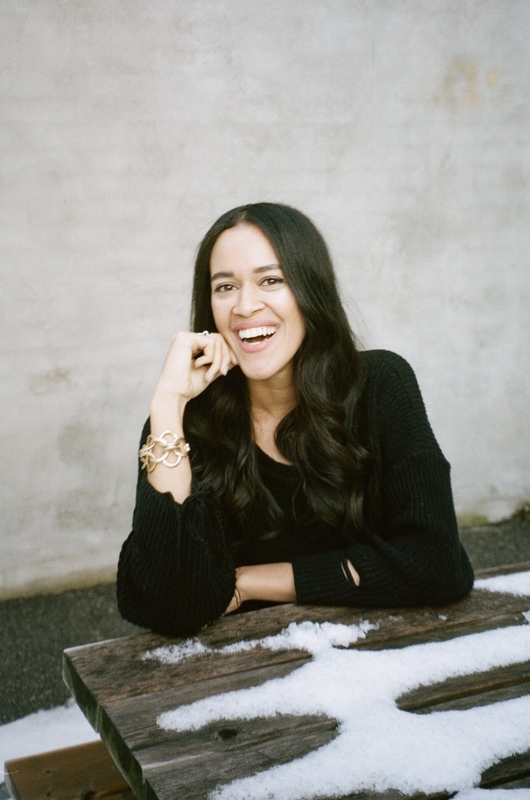 Now that I regularly share my products and services, I help people grow their businesses on autopilot, attract dreamy clients and make the impact they’re meant to make on the world! I have people tell me all the time how myself and my platform has changed their life! The same is SO so possible for you, once you get out of your own way and put yourself out there to deliver your incredible message! 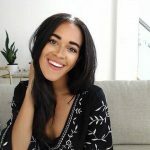 If you’re already creating content on your blog, Instagram, on Facebook all you need to do is add at the end of all of your pieces of content a strong call to action that inspires people to apply for a free Discovery or Strategy call with you. You can invite them to set up a call, and send them to the link where they can apply to have a chat with you. For me, doing live streams in my facebook group, and on instagram stories have been an incredible way to form a personal connection with my audience that has led to sales, new clients, and even attracting interns to help out with yes supply’s mission! You never know what can happen when you put yourself out there! Make sure that you’re speaking to the perfect person that you want to work with, so that they can feel that you’re speaking DIRECTLY to them, and make sure that you’re sharing how incredible it is to hop on a call with you- make it exciting! Once you have perfected the messaging that attracts your ideal client, gets them into your system and sets them up to sign up for your high ticket offers now it’s time to automate this process when you found your perfect pieces of content you can scale them up. You can promote your live streams with ads, or use automation tools like Smarter Queue (for facebook and twitter) and Boardbooster (for pinterest) to get your message out to the MASSES! Share value on your favorite platforms that you know your dream clients are spending their time on and lead people back to your offer of setting up a call, if they know they need help overcoming the issues that you know you can help them with! Now, sit back and relax and watch your dream clients start rolling in to book discovery calls with you.